The Liberal Democrat Party has chosen The Sage Gateshead as the venue for its 2012 Spring Conference. 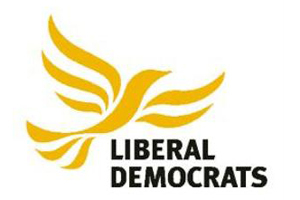 The Lib Dems are following in the footsteps of the Labour and Conservative parties, which staged their spring conferences and forums at the North East venue in 2005 and 2008 respectively. The Sage Gateshead general director Anthony Sargent said: "The Sage is always proud to be a platform for national and international debate, and we are thrilled on this, our fifth birthday, that we'll be welcoming the Liberal Democrats here for their 2012 Spring Conference." Around 1,500 politicians and party members are expected to attend the conference, generating more than £1m for the North East economy, according to estimates by the destination marketing organisation Newcastle Gateshead Initiative. Liberal Democrats Leader Nick Clegg said: "I am really pleased that the Liberal Democrats will be visiting Newcastle Gateshead. The world-class facilities of The Sage Gateshead, top-quality hotels and the famous friendliness of the local people are obvious attractions of coming to North East England." Celebrating its fifth birthday today, The Sage Gateshead said it had welcomed more than three million visitors since opening on 17 December 2004. In that time, it has hosted more than 500 conferences for more than 100,000 delegates.